The Great Canadian Ratings Report: Who says nobody watches women’s sports? There's little doubt that women's sports don't get a whole lot of respect among the mostly male army of fans who keep the sports channels in business. Ask most sports fans and they'll tell you that outside of the Olympics few watch women's competitions. Of course, that isn't true. Women's tennis often outdraws the men's game and, as Canadians proved last weekend, there is substantial interest in watching Canada's best female athletes on the world stage. 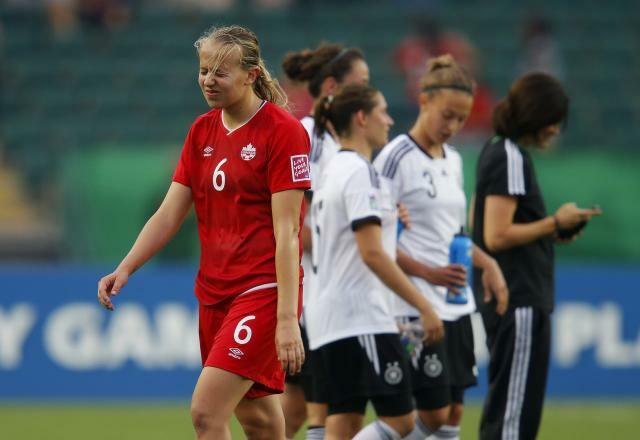 The biggest draw was the women's under-20 World Cup of soccer final, which saw Canada lose to Germany. That game drew an average of 461,000 viewers on a summer Saturday evening -- an impressive number given the time slot and the fact that this wasn't the women's World Cup that has also drawn big audiences. This was the championship among teenagers, a group that doesn't get much in the way of television exposure -- or media exposure of any kind. And even though most viewers probably didn't know any of the players prior to the event, there obviously was interest. When those players graduate to the top level in a year or two, they will be closer to being household names and should help drive ratings even higher. The biggest surprise, though, came in rugby, a sport that gets little attention and little in the way of audiences. But despite being relegated to TSN2, a channel that produces lower ratings than its big brother, the women's World Cup final between Canada and England attracted an average audience of 172,000 on Sunday afternoon. Those aren't the kinds of audiences that the CFL or Blue Jays can attract, but those sports have benefitted from years of promotion and exposure. If top-level women's sports continue to get exposure -- and Canada continues to make finals -- someday the old myth about nobody watching women's sports will be buried for good. Fairway maidens: Teenager Lydia Ko will launch the defence of her title at the Canadian Pacific Women's Open Thursday at the London Hunt and Country Club in London, Ont. But there won't be any hunting and not much in the way of country; just the best women's golfers in the world. Keep an eye on another teenager: Canadian sensation Brooke Henderson. Coverage starts at 3 p.m. ET on TSN. The pain in Spain: Those wild and crazy cyclists wind up their annual tour of Europe by pumping their lycra-clad buttocks up the mountains of Spain in the Vuelta a Espana. They start Saturday and finish, no doubt a little saddle-sore, three weeks and 3,000 km later. Coverage starts Saturday at 1 p.m ET on Sportsnet One. Showdown in the CFL Best: So far, this has been a pretty ho-hum season for the CFL, with a lot of blowouts and a huge imbalance between East and West. Basically, if an Eastern team is playing, the game's not going to be very good. But this showdown between the 5-2 Saskatchewan Roughriders at 5-3 B.C. Lions has all the earmarks of a mid-season classic. The fact they're both Western teams makes it even better. Sunday, 7 p.m., ET (TSN).